Recording conversations on an iphone is pretty simple once you know how, but I had to spend a couple days and repeated trips to Radio Shack to figure it out. If you need to make professional recordings of both sides of your conversations, such as for interviews, this approach is a winner. 1. iPhone (with earbuds that have inline mic). 3. A professional microphone that uses XLR jack (I used my Octava MK-012). 5. A 3.5mm jack splitter (part number 42-2570 at Radio Shack). 6. 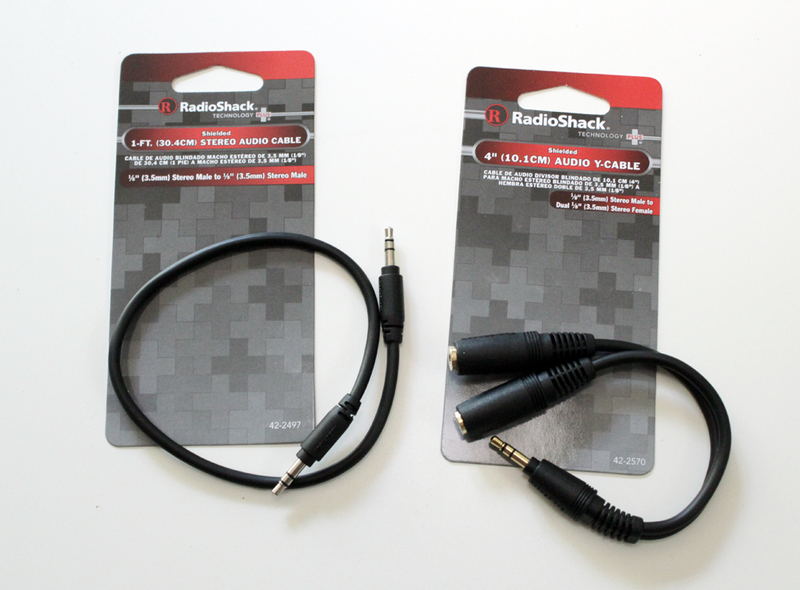 A 3.5mm male to 3.5mm male audio cable (part number 42-2497 at Radio Shack). The xlr mic is necessary to record your voice; the splitter running from the phone to the Zoom records the voice of the person you’re talking to. (You might think that your voice would be included on the splitter line, since you’re talking on a mic that transmits via that line – but it’s not. 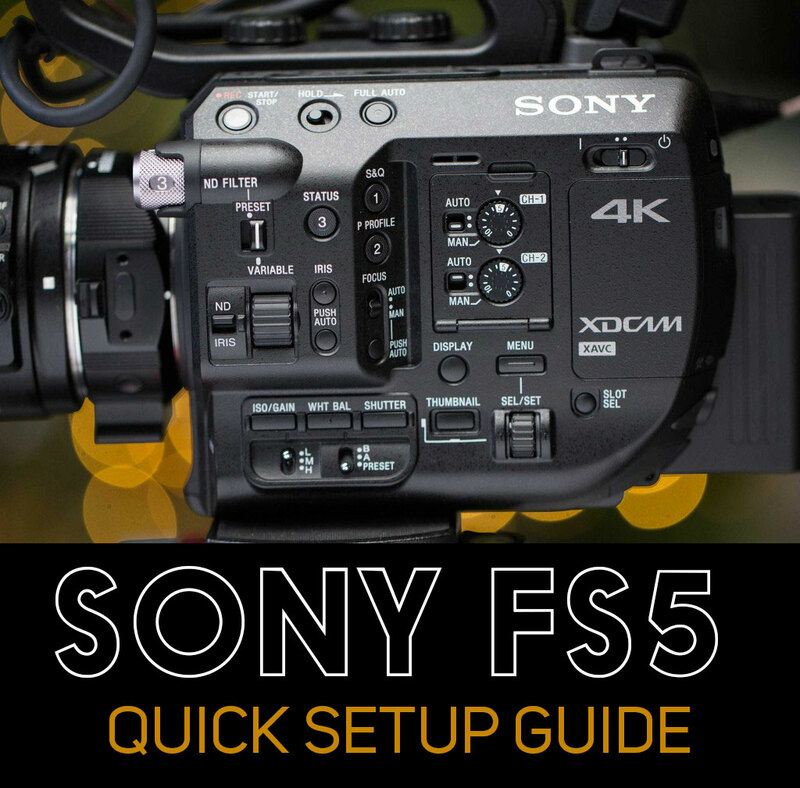 To configure the Zoom, set the recording mode to “4 Channel,” which allows you to record input from the 3.5mm jack on the back AND from the XLR jacks simultaneously. It’s totally professional because your voice and the voice of the person you’re speaking with are recorded onto separate tracks, which is ideal for editing later in Soundtrack Pro and Final Cut. You can control the recording levels independently as well. NOTE: At first I thought I could get this to work even more simply by using the Zoom H4N’s built-in mics to record my outgoing audio. But the built in stereo mic is disabled when you plug in the 3.5mm external mic jack. Hence, the need to use an XLR mic to pick up your side of the conversation. In this 30-second test conversation with my wife, which I edited in a very simple Soundtrack Pro multitrack project (see graphic), if you listen very carefully beginning halfway through, you can hear my wife’s voice being picked up by the very sensitive Octava mic from sound bleeding through from the earbuds. I replaced my earbuds partway through with proper Sennheiser 280 Pro circumaural headphones to keep any sound from spilling out, and for that you’ll need a third-party external mic such as the Shure Music Phone adapter. You can hear Lara telling me initially that it sounds like I’m on speaker phone when I’m using the Apple earbuds, but as soon as I hooked up the Shure, she noted a major improvement in sound. So here’s a snapshot of my final setup for professionally recording iphone interviews, below. This entry was posted in Tips on May 14, 2010 by Dan McComb. I’ve been thinking of buying an iPhone. But my biggest hesitation is that I don’t know how to record my interviews with it. But there’s a huge snag in the festivities. The Shure Music Phone Adapter is no longer made by the manufacturer. The link you have on your page is for a piece of equipment not for the iPhone. I’ve been looking online for another Shure Music Phone Adapter for the iPhone. And I’m not finding one. It’s sold out everywhere. Gone. Now what? What’s comparable to the Shure Music Phone Adapter? I guess my search goes on. So I just bought that item from Amazon and I’m still trying to figure out how the set up will work with it. Can you give me any advice? Can you give me some more specifics about what’s not working? Hi Dan. Just found this site after Googling for “recording phone conversations with H4N. Why do you need earbuds with inline mic if you’re actually recording with an external mic? Thanks, I just purchased my H4N and am a rank amateur as of yet. You don’t need the inline mic – just a way to get a signal out to your earbuds or headphones from the iPhone. I had the Sure and it works great – you could use something else equally well. Hope you get this, I just realized this blog was written some years ago! Thanks so much for posting it, it’s been hard to find something that makes sense to me online about it! I have a Zoom Mic but no second mic – is there a way to record my voice and that of the caller without the second microphone at all?? 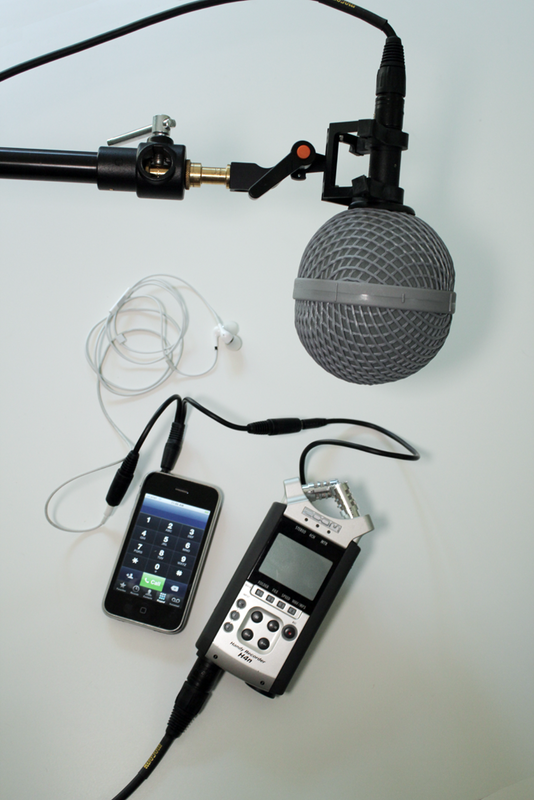 Yes – you can record your voice from the built-in microphone of the H4n Zoom when its set to 4 channel. Then use a 3.5mm to 6.35mm adapter to plug your phone into the Zoom. Came across this when I googled how to record telephone conversations with zoom h4n. How would I go about doing this on a regular landline telephone? i am interested in recording a telephone interview for a podcast. Thank you so much, Dan! I am going to purchase one of the items listed in the article. Hopefully it will provide good enough audio from a telephone interview to include in a podcast. I tried using your set-up–without the external mike because I don’t need to record my side of the conversation–but when I use my iPhone (3G) the recording has a huge amount of static. Yet when I use my boyfriend’s iPhone, which is a 4s iPhone, theres no static. Any idea of why this is happening? Thanks! In this simple setup, static would likely be coming from a loose connection, or something not properly plugged in. That’s my guess, anyway. It’s possible also that the connector is wonky on the 3g, I suppose. I have a 3.5MM Male to Male microphone stereo cable running from the head phone to a recorder. I have headphones running from the recorder. I also get a HUGE amount of static but only when someone is not talking. Any suggestions Dan? Thank you. I haven’t experienced that one. Usually static is caused by a weak or faulty connection. But if it’s only happening when the person isn’t talking, I’m scratching my head. The way to troubleshoot is to remove as many of the components and test them individually, so that you can eliminate them as possibly being the culprit. Do that with each of the items and you should find it. solved the problem on my olympus iec/jis lr03 recorder. while recording, I clicked the menu button >> rec level and set the record level to low. Maybe a stupid question; but what is picking up the voice for the iPhone to send to the person on the other end of the call? Is it the built in microphone in the iPhone; or is it the mic on the headphones cord..? Hi Johan, the voice of the person speaking into the iPhone (your voice) is picked up by the external mic. and the length is limited. and using the headphone out put as an output to my computer and have the audio on my computer. I record a telephone conversation from the iphone to the mini disc recorder? Does your mini-disc recorder allow stereo recording, or recording of more than one track? If so, you can record the person’s conversation on the left channel, and your conversation can be recorded on the right channel. I do this with my Zoom H4N all the time. To make this setup work, you would use another mic to record your voice, and send that into the right channel of the recorder independently of the headset you’re wearing. I’m wondering if there’s a way to use the built-in mic(s) on the H4N instead of an external mic to record your (the interviewer, presumably) voice. As far as I know, when you enable the internal mic, you disable the external mic, and vice versa. You can, however, record with two mics at the same time, and you can even use a small 3.5mm plugin mic on the Zoom. If you want similar quality recording of two people speaking as in an interview, I would mic them separately and connect both mics to the zoom (one to left channel, and one to right via phono input). I hope you still monitor this thread – this is an amazing article… Thank you for it. My question is as follows. I like to use Filmic pro app on the iphone record videos (basically very nice video camera app). Now, I want to record some classical opera singer and I’ve had some really nice experience doing this (audio only) with Zoom h2n before. 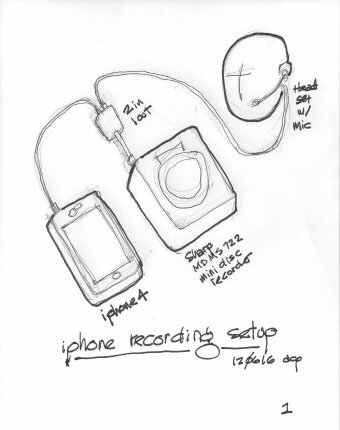 I am thinking to by one (Zoom 2hn), under the condition if it could be basically used as an external mic for the iphone (using its’, zoom’s internal mics). Then I would use Zoom h2n line out (with headphones monitor on) to connect to the iphone microphone/headphones jack using the connection cable and splitter you referenced. In your setup – Are you using Iphones native mic to somehow to trick the system? Maybe the external microphone you using – is somehow designed for iphone? Do you think the setup I described might work with your splitter? I love Filmic Pro, it’s a fantastic app. THe company that makes it is right here in Seattle where I live. And I’ve actually taught a few classes on how to use it. Great choice! The iPhone requires a special adapter for use with an external mic, but as long as you have the right adapter (there are different ones depending on which model of iPhone you have) then it should work with any external mic (as long as that mic doesn’t require phantom power, that is). 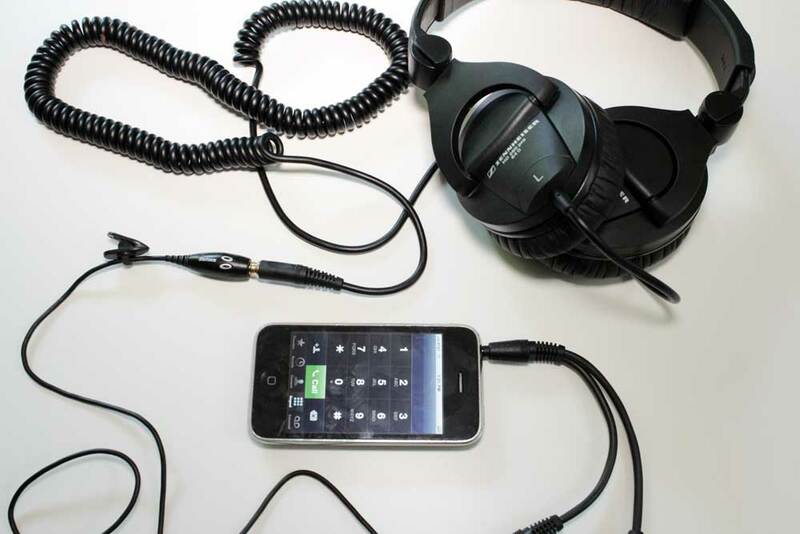 For that, you could use this: http://www.musiciansfriend.com/pro-audio/tascam-ixz-audio-interface-adapter-for-ipad-iphone-and-ipod. The question I have for you is: why would you want to use the iPhone to record when you have the H2n? It’s a superior recorder to the iPhone in every way except size. The iPhone will give you a noisier recording than the Zoom will do. And if you’re recording an opera singer, then you want a very quiet noise level. I would definitely choose the h2n over the iPhone for this application. Thank you for your answer Dan! 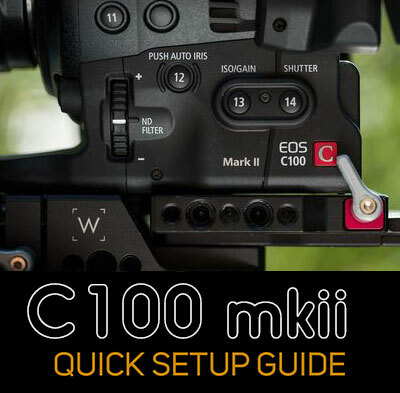 I completely agree with you – by the lack of knowledge I thought that maybe I would be able to record sound by Zoom H2N and then Filmic would just “take it” (As it does with Tascam IM2 mic). The only reason I was thinking about it, as I am not that good at editing, and it would be great just to receive a Filmic file with iphone video + stereo audio recorded by Zoom (just using the headphones line-out slot on Zoom, for monitoring, to transfer it into iphone…). I know Tascam IM2 can do it (but it uses dock slot on iphone)… However, recording an opera singer is really being able to record VERY loud and resonant sound with overtones in the voice going up to 24kHz – and then to nice pianissimo. Tascam did not do great job with that… If you use Its native app – it does, but as much as I tried – as soon as I launch Filmic – Tascam app stops recording (even with Filmic being with “no audio” option). So I understand there is no really a way to do what I wanted – and I will just need to sync audio and video in some program? Thank you again so much for your response! I use PluralEyes and DualEyes – both great apps with slightly different workflows – to sync audio and highly recommend them. …And it also looks like Filmic records at variable frame rate… So my video editor (to combine it with audio coming from Zoom) – would not even open the file… Huh, not easy. Do you know if there Is a way to shoot at fixed frame rate with Filmic? Yes, you can specify the frame rate you want to shoot with FilmicPro. That’s the beauty of the app, actually. If you are finding that the framerate isn’t actually output as it should be by FilmicPro, when you set your framerate there, then you have a further option. Use DualEyes to sync your footage, being sure to select the “correct drift” option. This will create a new audio file that is stretched or shrunk to match precisely. I have up until now used a Panasonic RR-US450 recorder with a Nexxtech wireless phone recording controller and a portable phone with a headset to record interviews via telephone. Now that I have a Zoom H4n recorder I want to do the same but eliminate the Panasonic recorder. I am striving for better sound. However, when I substitute the Panasonic with the Zoom I can no longer get a recording. Does anyone know what I could be doing wrong. I am desperate as I have many interviews to do in the next couple of weeks. HELP!!!! Can you be a little more specific about what’s failing? Is it the recorder that’s not recording, or the controller not controlling? You don’t need the external mic. You should have plugged the iphone cable into the second xlr-input jack. You can connect XLR *OR* big 6.35mm (3,5+ adapter) microphones there! You can also enable mono mix so you preview it right from the headphone jack of the H4. If i use this set up, and I have 4 mics running into a mixer….come out of the mixer with a Y- cable or some sort of converter, will the person on the phone hear mics 2,3 and 4 as well? The person on the phone shouldn’t hear anything except your voice on the other end, as long as you are wearing circumaural headphones. I did exactly as you suggested above but with and h4n and I could hear the person through the headphones but it did not record…I used a headphone splitter is that why? Do I need a different kind of splitter? Thanks so much for this resource. The key is to send a signal to the recorder, so as long as your splitter is sending a signal to the recorder, it should work fine. Can you tell me more specifically at which point this splitter is inserted into the mix? I’m not sure what you mean “at which point” I have the splitter plugged into the i-phone and off of that the headphones and the h4n are connected via a cable. It is weird because I can hear the caller in the headphones but it will not register or record on the h4n. My voice via the externally connected microophone does record and is picked up. Any help is much appreciated. I have the interview tomorrow so just trying to test it out. I got it figured out. No splitter needed. I hooked the double sided 3.5 mm cable into the mic jack in the back of the h4n and the other end into my iPhone. set it on 4 channel. Used the headphone jack on the h4n for my headphones and hooked in my mic with an xlr cable into pic 1…works great! Thanks for your help Dan. Make sure you put the input level on Auto for the external mic. When I tried this the Auto level went all the way down to 1! When I try this the Y splitter doesn’t have the three bands on the jack. When I make a call or play music I can’t hear anything unless I press the center button on the microphone on my ear buds. Is here another option? I’m using an iPhone 6 Plus. has anyone come up with a wiring set up to use with the iPhone 6 and the H4n? With the voice recorder apps do any of them record phone calls? I’m not sure if I’ve missed something, but the solution is pretty simple. The headphone/mic jack that comes out of a mobile phone is a 4 way plug, not a stereo 3 way. Thus the wiring is – from the tip – two stereo channels l/r then (depending on the make) ground/mic or mic ground. When you plug a 3 way (left, right, ground) into a phone it shorts the mic out. I’ve set my Zoom up this exact way, but my phone recording is in stereo while my XLR Mic recording is not. Any idea how I can fix this? I usually fix this in post by changing the clip to mono from stereo. Great article! First off thank you, second, i have a few questions I am hoping you can answer. *connect 3rd mic to H4n if i want to hear my voice on the recording? If I JUST want to record their voice not my own, do i need the 3rd mic? You got it – you can skip the 3rd mic if you only want to record their voice. The caller’s voice is fed out of the phone and into a stereo channel on the Zoom. 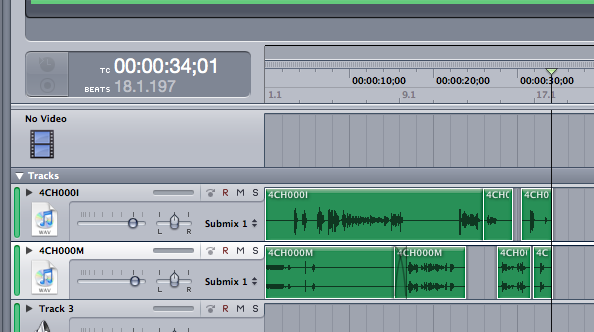 My voice is fed from the microphone into a mono channel on the Zoom. Levels set accordingly. I am able to hear both parties via my headphones as they are coming out of the Zoom (final product). The caller can hear both through their phone. After recording, I convert the stereo track to mono. Adjust the levels, compression, add any post production elements. And then mix down to a single mono track and export it. Am I thinking along the right lines? Hi John, yes, you’ve got the idea! Excellent article. Would a 2-channel Tascam recorder be equal to the job? They seem to run about $100 less than the Zoon. Absolutely. That will work great. In fact, I have been using a Tascam DR-60 for several years and it’s awesome. Wow! Thanks so much! I’ve been trying all these different apps that are USELESS! So helpful. Thank you so much. How about the newer version, H4n pro, do you think it could record line-in mic and built-in mic at the same time? Great question – I don’t know the answer as I don’t have that recorder. So am new to this and all thing podcasting, am I right in thinking the zoom h6 set up will be the same. Dan. Really need help asap on this one. I’ve everything spot on, my only issue is that the person on the end of the phone can hear me very well even though I’m talking into the external microphone plugged into my zoom. This is because the microphone on my mobile phone picks up my voice rather than my microphone. How do I fix this? Thanks. Aren’t you trying to record both your conversation and the other person? So in that case, you would want them to hear you, right? I’ve tried to get this set up to work and am feeling defeated! Any advice welcome. I think my kit’s OK, I have an iPhone 8, with a dongle thing for headphones (I’m using the iPhone ones, as neither the Shure nor the Monster adapters are available – anything else recommended so I could use headphones with less bleed through?) . But re the Zoom: aside from setting the recording mode to “4 Channel,” is there any other Zoom setting that needs to be adjusted? I usually record in Stereo Mode, either using two XLR mics, or just the onboard mics, adjusting settings accordingly. So this set-up is very new to me. I’d really appreciate your help. Can you be more specific about what’s not working when you set this up? When you say bleed-through, do you mean you are hearing something you don’t want to hear?